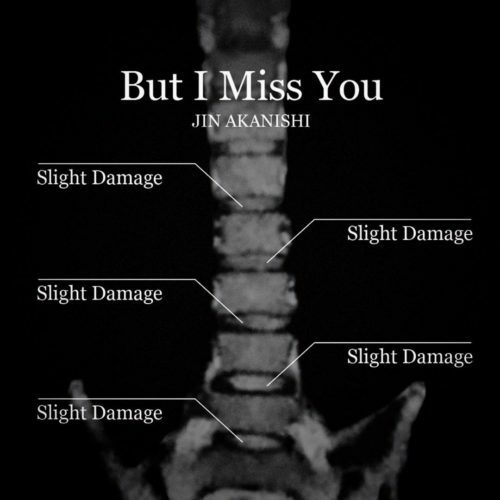 Jin Akanishi dropped a unique cover for his upcoming single “But I Miss You” on his Instagram account recently. The reason an MRI is on the cover is because it’s an MRI of his recently diagnosed lumbar spondylosis, and this is Jin’s very Jin way of sharing that with everybody. Fitting with the personal nature of the cover, the only way to receive it will be to attend his upcoming concert. In an update on his official site, Jin revealed his diagnosis, saying that he had lower back pain at first and a visit to the hospital led to his diagnosis. If you’re like me, you had to look up what exactly this is, and thankfully it doesn’t seem to be serious at least initially. Lumbar meaning lower back, which granted chronic lower back pain is a special kind of hell to deal with, but at least it isn’t life threatening or something. And that reality is likely reflected in the amusing hashtags he used.